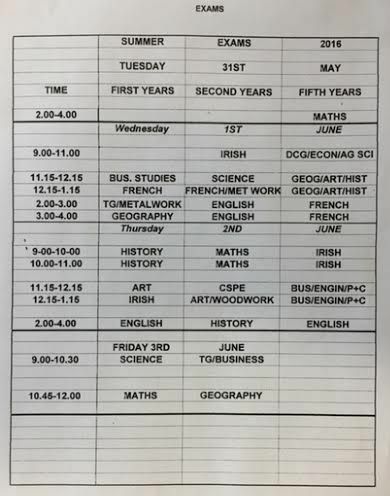 School Summer Exams Timetable | Coláiste Éamann Rís, Callan, Co. Kilkenny. Timetable for School Summer Exams beginning Tues 31st May ending Friday 3rd June. This entry was posted in School Promotion and tagged exams, school, summer. Bookmark the permalink.